In a confusing case recently filed in Texas, a personal injury attorney has filed a personal injury suit against a personal injury law firm related to a personal injury suit the firm is pursuing on behalf of other personal injury clients. The case concerns a class action litigation surrounding inferior vena cava filters, or IVCs. 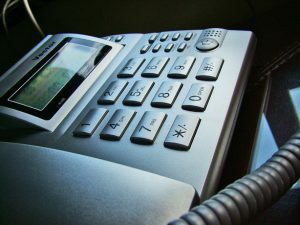 A Texas attorney sued an Arizona law firm, the Arentz Law Group, for making unsolicited phone calls in an attempt to round up potential claimants. The attorney filing suit, John MacLean, says that he personally received one of the firm’s unsolicited calls and says that the law firm ignored laws regarding the solicitation of clients. According to the suit, MacLean argues the firm has disregarded ethical guidelines in an attempt to score a large number of plaintiffs to support a class action suit the firm is preparing against IVC manufacturers. The case from MacLean concerns something that many people may not be aware of, barratry laws. Barratry laws are statutes that have been enacted in every state to protect citizens form the impact of legal solicitation. In fact, barratry refers to litigation whose purpose is harassment or profit. These barratry rules explain how law firms are allowed to go about looking for clients. The rules also explain the ways in which firms cannot go about hunting for business. Texas is a state that takes barratry rules very seriously and violations of them can result in not only civil, but also criminal penalties. The rules in Texas prohibit lawyers from soliciting clients by telephone who have no previous relationship with the attorney when “a significant motive for the lawyer’s doing so is the lawyer’s pecuniary gain”. By way of background, the firm in Arizona was looking for clients so that it could put together a potentially lucrative class action suit against manufacturers of the IVCs. These IVCs are designed to help patients improve blood flow to their hearts. However, it’s been revealed that the IVCs pose some serious risks, including organ perforation. Given the hundreds of thousands of patients with IVCs, there is a lot of money to be made from rounding up a large group of plaintiffs and then leveraging that large group to extract a hefty settlement from a medical device manufacturer. It was part of an effort to secure a large group of plaintiffs that MacLean was called. According to the lawsuit, the law firm began a robo-call campaign to randomly contact Texans. The campaign reached across the state and involved making unsolicited automated calls from a number that appears on caller ID as the “IVC Claims Center”. MacLean, who knows a good deal about IVC litigation, answered the call and heard the message asking if anyone he knew had been harmed by an IVC. MacLean knew enough about barratry rules to know the call amounted to a violation of Texas law, but says he played along to try and learn more information. 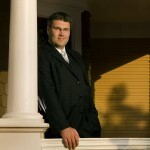 He was eventually directed to a live person and learned the name of the firm behind the calls. MacLean is now using the same tactic that the law firm used, an attempted class action claim. According to MacLean, there are at least 1,000 other members of his class who were the victims of unsolicited phone calls from the law firm. MacLean is asking for $10,000 in damages to be awarded to each person who received an unsolicited call. The firm has so far refused to comment.